We provide advice & support for asbestos victims with terminal illnesses such as mesothelioma & asbestos related lung cancer. We also provide advice & support for their carers, family & colleagues. We give advice & practical help with Industrial Injury benefits, disability & sickness benefits & compensation schemes and hold regular support meetings & events throughout South Yorkshire. 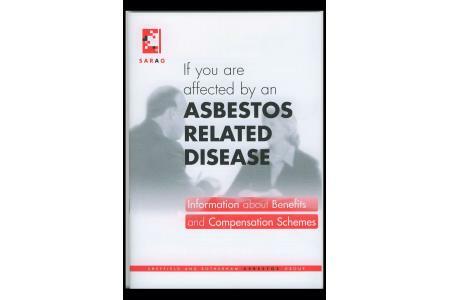 We also work throughout the region to raise awareness of asbestos diseases & the continuing hazards of asbestos. We know there is a growing need for our service locally, not least because of the industrial heritage, steel, rail carriage, construction and allied trades in South Yorkshire. Someone dies from mesothelioma every 5 hours in the UK and the incidence of asbestos related cancer and asbestos disease will continue to rise. We always appreciate extra help with fundraising activities, particularly with planning, organising and running fundraising events for SARAG.